The New York Times and USA TODAY bestselling collection of short stories chronicling the adventures of Simon Lewis as he trains to become a Shadowhunter is now available in print with ten brand-new comic illustrations! Is Simon going to become a Shadowhunter? Summary: Ever wonder what happened to Simon after he lost all his memories. These tales will help answer some of the questions. 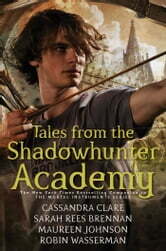 His adventures start with enrolling in Shadowhunter Academy, where he meets the handsome and charming George Lovelace. As he trains and learns about what it is to be a shadowhunter he gets help from many familiar faces. Will Simon ascend or parish? Can he repair his relationships with Clary and Izzy? Will he get his memories back? Characters: Simon ( aka Lord Montgomery, Simon Lovelace) Catrina Loss, warlock , teacher at the academy George Lovelace, a mundane adopted by the Lovelace family Izzy Lightwood, a shadowhunter, loves Simon Clary Fairchild, shadowhunter, Simon' s best friend Jace Lightwoo - Herondale, famous shadowhunter, loves Clary and is Alec's parabati Alec Lightwood, famous shadowhunter, loves Magnus, Jace's parabati Magnus Bane, high warlock of Brooklyn, loves Alec, adores Clary Helen Blackthorn, exiled after the Dark War for being part Fae Mark Blackthorn, kidnapped by the Fae to ride the Wild Hunt, also part Fae Tessa Gray, part shadowhunter, part warlock Quote: He who saves a single life, it is as if he has saved an entire world. - Talmud (Simon's Father) Funny Quote: ... Simon Lewis had been convinced that all gym teachers were actually demons escaped from hell dimension, nourishing themselves on the agonies of uncoordinated youth. Final Thoughts: I love world of shadowhunters. The idea of different tales coming together to form a whole novel about Simon Lewis was brilliant. 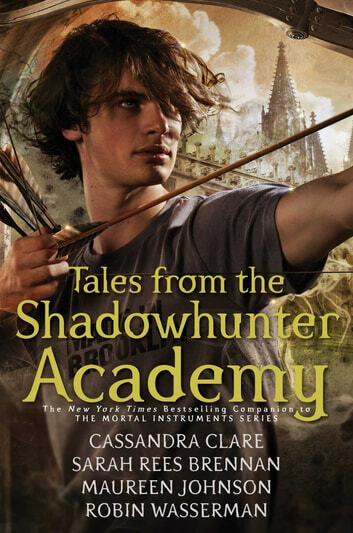 Simon Lewis was always in the background during the Mortal Instruments series, but in Tales from the Shadowhunters Academy he is front and center where he belongs. I want to live in the shadowhunters world. I loved this book, it sucked me right in and I was reading into the early hours of the morning. If you love the mortal instruments series, you will love this book. I really enjoyed this instalment in the Shadowhunter world. It was a delightful filler between series. This book made me feel as if I was learning with Simon. A fresh new side of the Shadow hunter life.